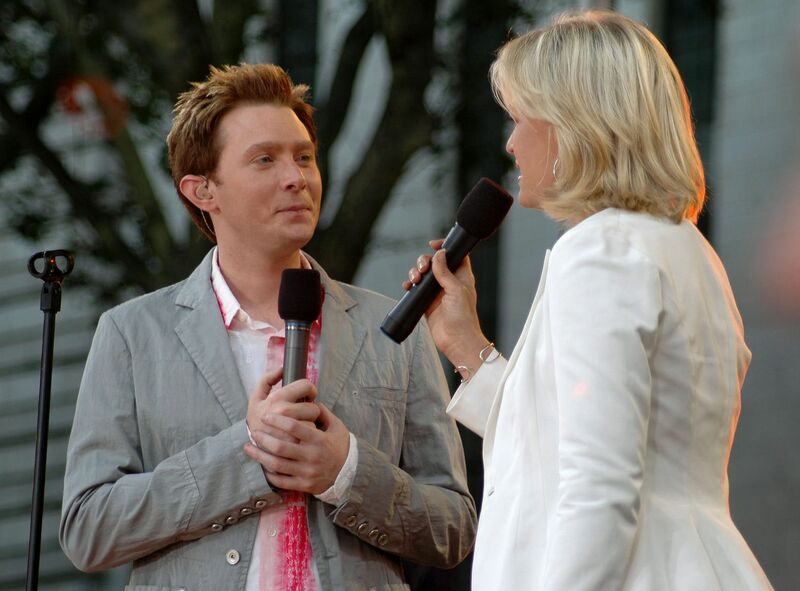 Clay Aiken’s loyal fans got a real treat on July 29th, 2005 when he debuted a new song called Back for More and performed Elvis Presley’s Suspicious Minds at New York City’s Bryant Park as part of Good Morning America’s Summer Concert Series. Clay had just begun his Jukebox Summer Tour the evening before in Toms River, N.J. The tour visited 25 cities. It was Clay’s fifth tour in the past two years. 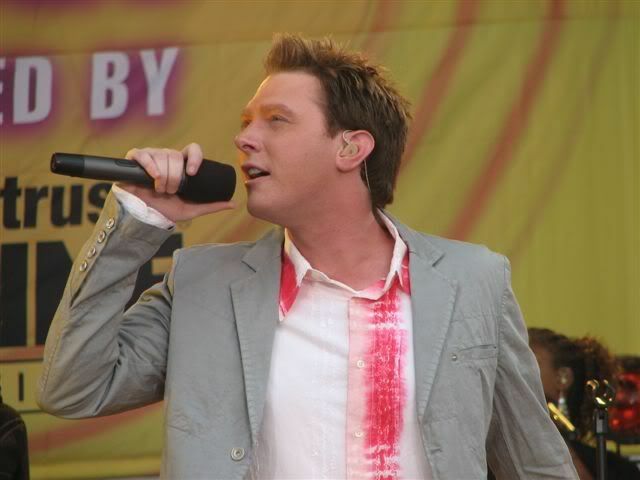 Throughout the Good Morning America broadcast on the 29th, the anchors mentioned their excitement that Clay was back to give another wonderful concert. The weatherman was stationed at the park and each time he gave a weather report, he included the huge crowd in the shots. Diane Sawyer interviewed Clay at the beginning of the concert and asked him about his UNICEF trips. “It’s the closest thing I can do now to being in a classroom and teaching,” said Aiken. He recently had returned from northern Uganda, where he visited “night commuters” — children who must leave their homes in the countryside every night to sleep in UNICEF shelters to avoid being abducted by a rebel group. In March, Clay had visited children living in camps for tsunami survivors in Aceh, Indonesia. The concert itself, was brilliant. Clay chose the Elvis song Suspicious Minds to open the concert. It is a great Elvis song that isn’t so popular that it would make people think Clay was trying to impersonate Elvis. Clay sang it beautifully and it had a great contemporary sound to it. From the fans at Bryant Park, we learned that Clay also performed Twisting The Night Away. The reports said that Clay sounded relaxed and assured and did his twist “thing”. Too bad it wasn’t televised. There was a twist at Bryant Park that morning. Clay was also interviewed by “Erica Kane”, from All My Children. Susan Lucci who plays Erica on the show explained that her character was starting a TV show and that Clay was her first interview. Just another thing to fit into Clay’s very busy day!! 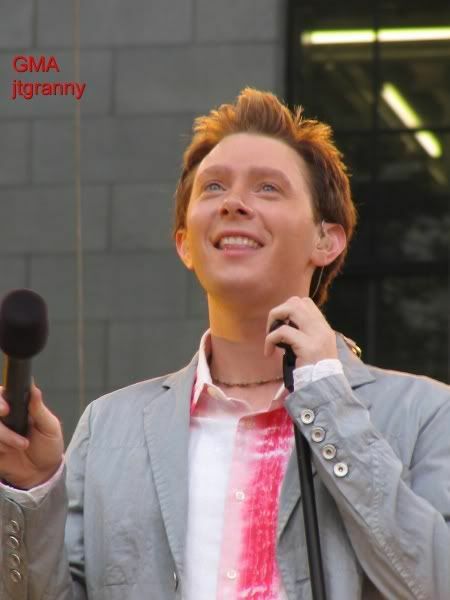 Bryant Park was filled with the audience for Clay and overall, Clay seemed happy, confident and in control. It was a great success. Thank goodness for CLACK!! Because of the following videos, we can all re-live the Good Morning America again!! Have you ever been to Bryant Park? 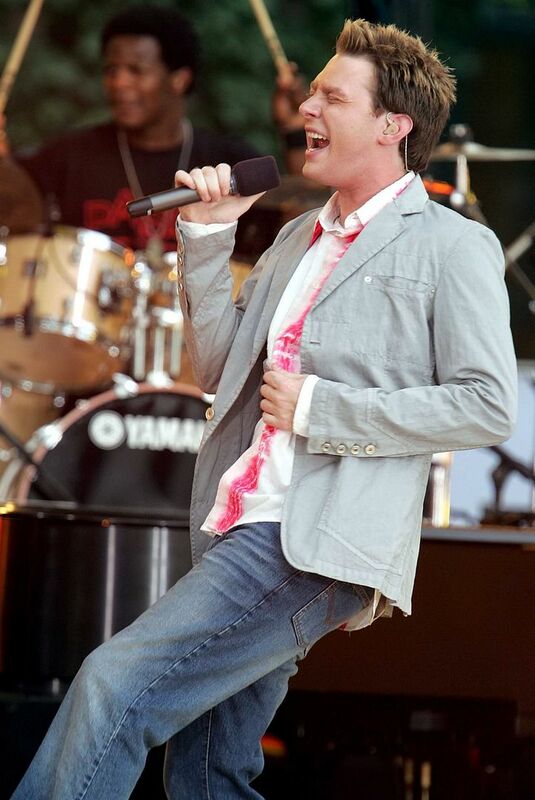 Did you see Clay on the TV for this performance? That was an awesome time. I always loved Back for More. Clay's TV performance was electrifying on GMA! Wish they televised him with Susan Lucci aka: Erica Kane and especially him twisting with the song "Twisting the Night Away"! Thanks for posting musicfan! I'm a big fan of OMC and you, too! Where did all those good times vanish to? Still hoping for something big to happen. Great performance. I want this guy back.. Please Clay find a way to record a new pop CD and tour. We all miss you. Error: Error validating access token: Session has expired on Tuesday, 21-Aug-18 16:13:01 PDT. The current time is Thursday, 18-Apr-19 21:48:02 PDT.